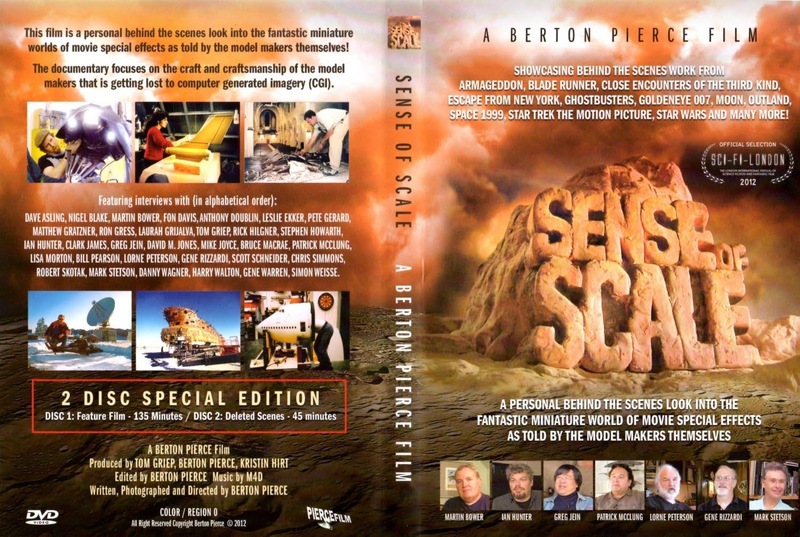 Berton Pierce has made a movie miniature fan's dream documentary. It is full of the legendary modelmakers of the 70's, 80's and 90's talking about their work on the blockbuster movies of the period. You get from watching the DVD a deep sense of the hand crafted nature of visual effects in those days and it is a joy to watch. Thoroughly recommended. Below is the trailer for the film. When I clicked on the website link given (http://www.senseofscalefilm.com/) I got a "Server not found" error.